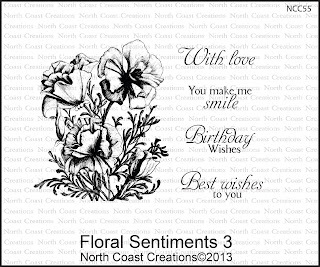 I played a little bit yesterday with one of my new stamps from North Coast Creations! 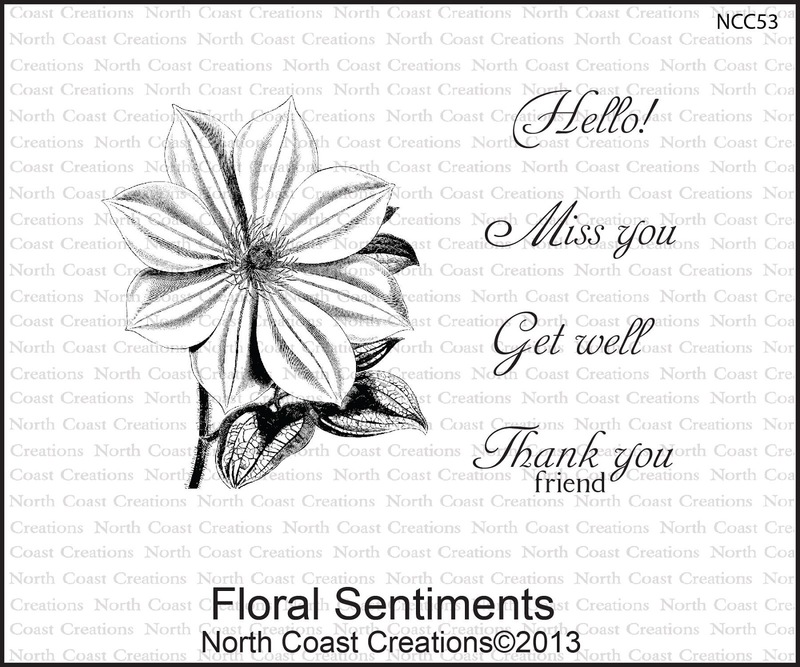 It's called Floral Sentiments and has this beautiful flower stamp in it along with some great sentiments. I wanted to try my hand at the TLC for this week to watercolor on Kraft card stock in and image that has been heat embossed in white. Got it! The CAS challenge this week was to use scallops. Got it! And I tried to follow the Color Challenge but that didn't really happen. My colors ended up too dark. I added a pretty bow and a flower center made with some goodies that my sweet friend sent to me! Sparkly! Hope y'all have a wonderful Wednesday! See ya again soon! 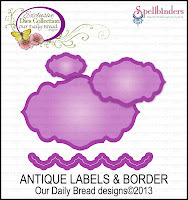 Today we are looking back at the fabulous new releases from Our Daily Bread designs this month! 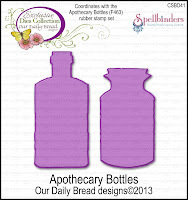 I am absolutely loving the Apothecary Bottles set and the coordinating ODBD Custom Apothecary Bottles dies! I decided to go a little shabby chic for this card. 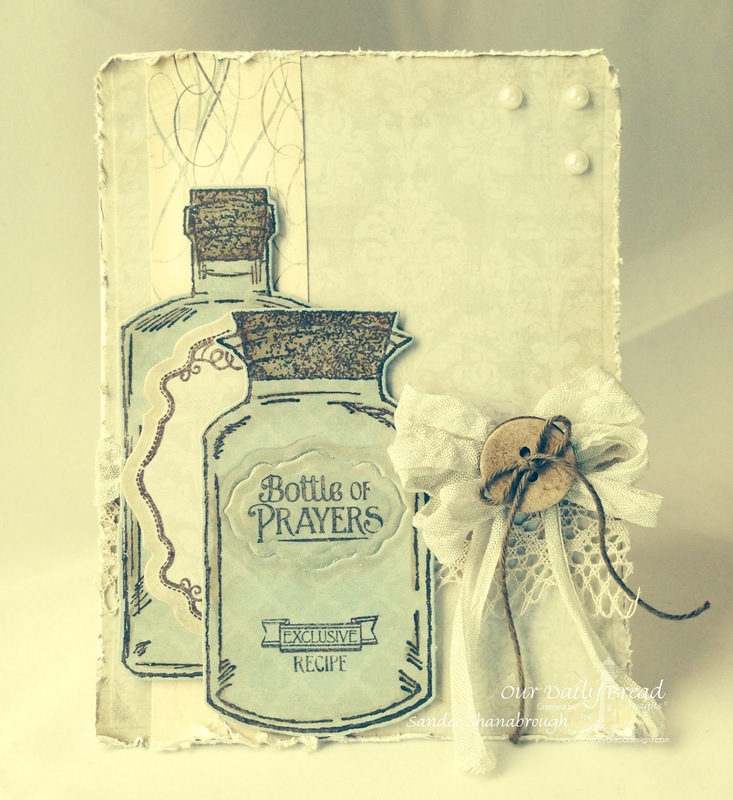 The background papers are distressed with paint and actually have a canvas feel! 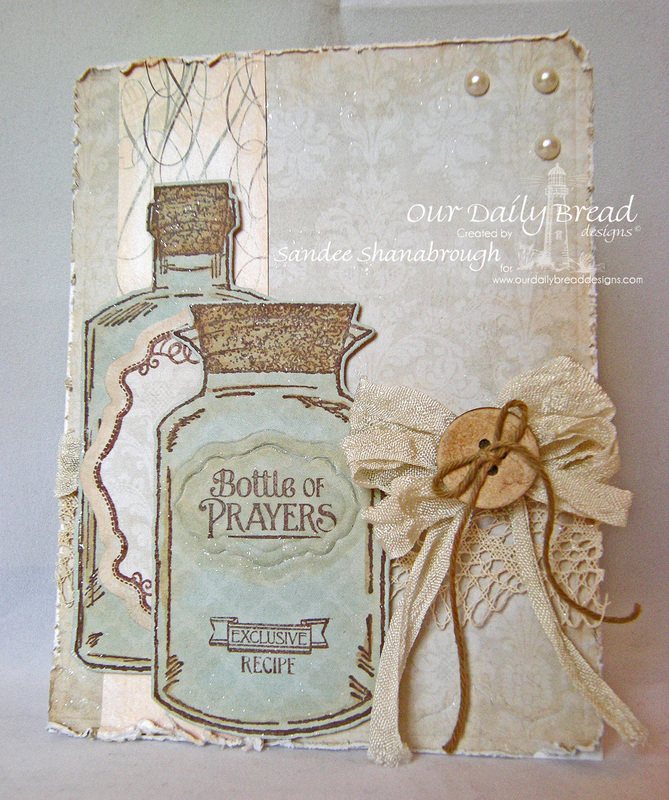 I used a Cherry Lynn Doily behind the bottle. 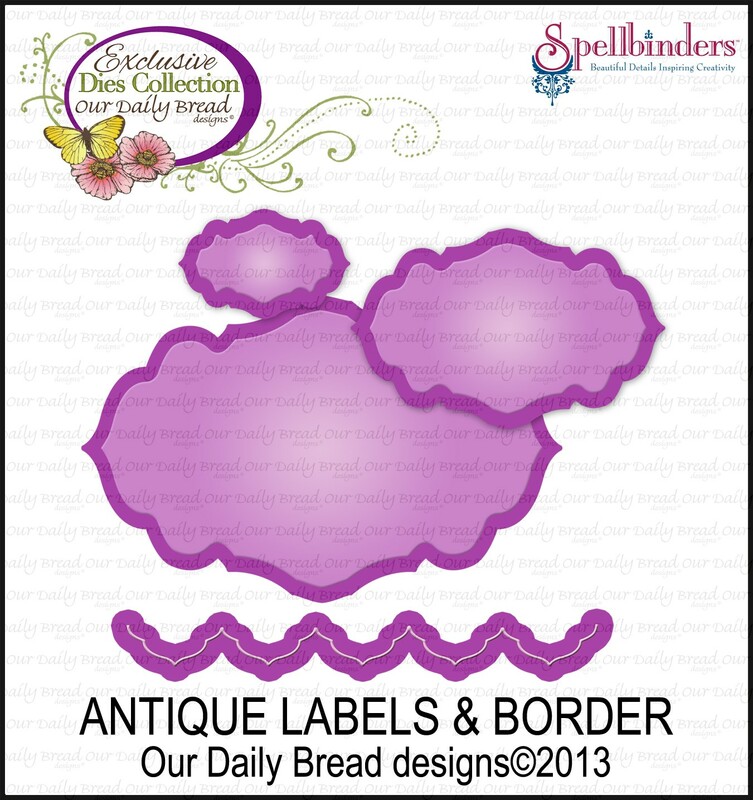 I cut out the image from the Lavender set with the ODBD Custom Antique Labels and Borders die. I added a little copic color to the lavender image and on the bottle. 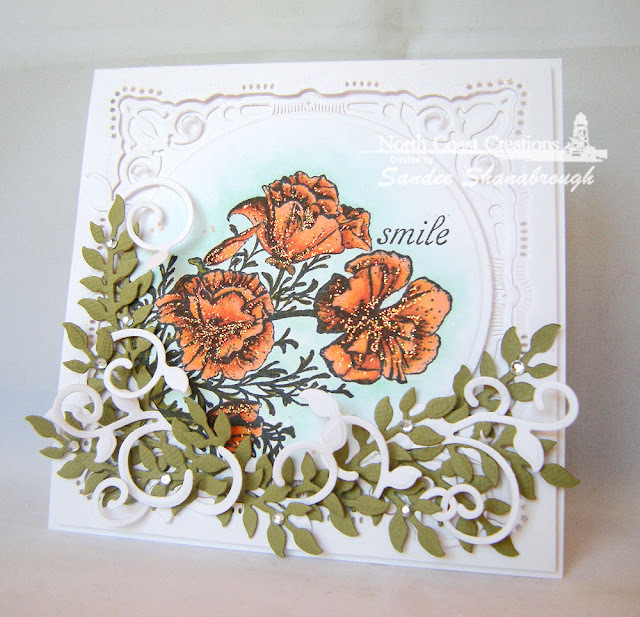 The little corner die cut is from the ODBD Custom Ornate Borders and Flowers dies. 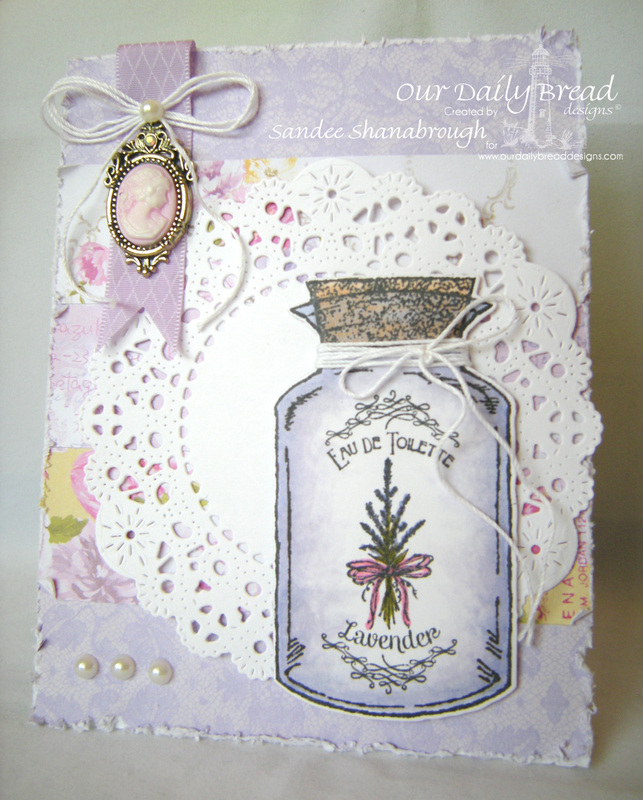 I finished the card with a few pearls and several splashes of Glimmer Mist! For more inspiration from our design team, head over to the ODBD Blog! Thanks for joining us today! We will see you again soon! Hi there! I have another card to share with you today! I followed the sketch challenge on Splitcoast this morning. 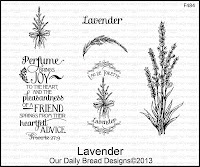 I love these new sets from Our Daily Bread designs! 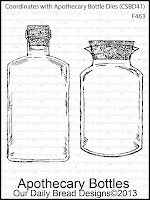 Lavender and Apothecary Bottles. 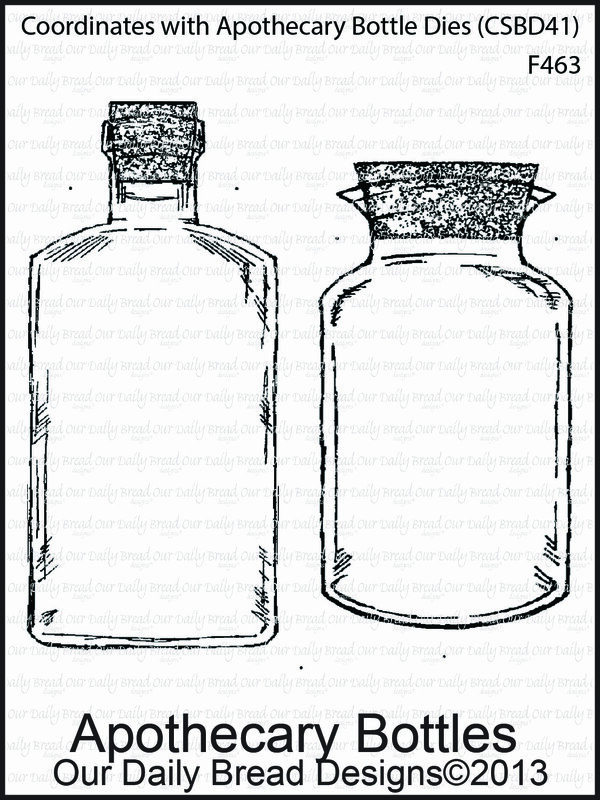 And the bottles have their own Custom Apothecary Bottles dies! I colored the image with copics. The doily is Cheery Lynn Designs. And the cameo was sent to me along with lots of other delicious goodies from a sweet sweet friend!!! Finished the card with several pearls! Thanks for stopping by! Hope you have a wonderful day! Welcome to the North Coast Creations January Releases! 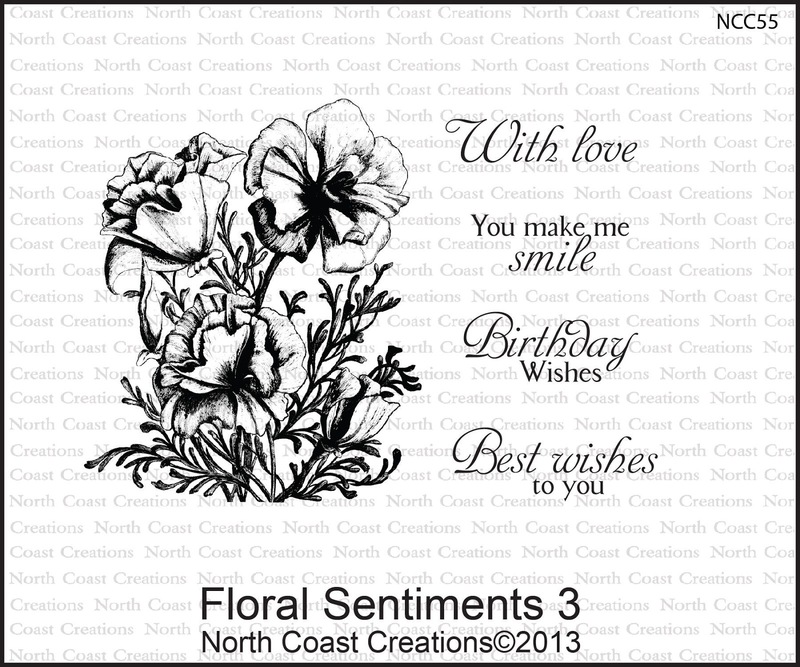 Welcome to the North Coast Creations January New Releases! We thank you for joining nus today! We will be choosing 2 winners who will receive a $10 gift certificate to the store for stamps just for commenting on our Design Team cards! 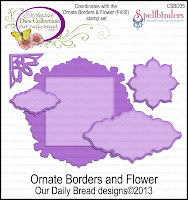 You have until January 17, 2014 at 10:00PM EST to leave a comment on each of our designers blog posts. Our 2 random winners will be announced on the North Coast Creations Blog on January 18, 2014, please be sure to check back there to see if you have won. 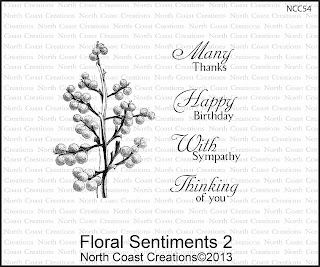 My first card features Floral Sentiments 3. I colored the image with copic markers and cut it out with a Spellbinders Circle. I masked part of the sentiment and only stamped the one word with the help of my Stamp-a-ma-jig. I framed the image circle with Spellbinders Adorning Squares. 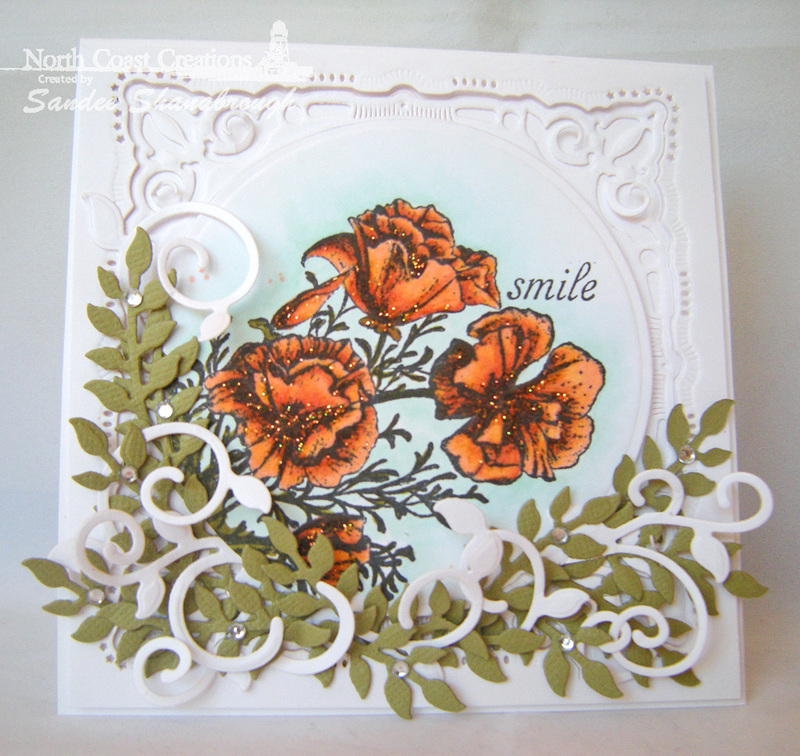 I added lots of foliage cut with the ODBD Custom Fancy Foliage dies. I also added clear rhinestones on the foliage and stickles on the image for sparkle. 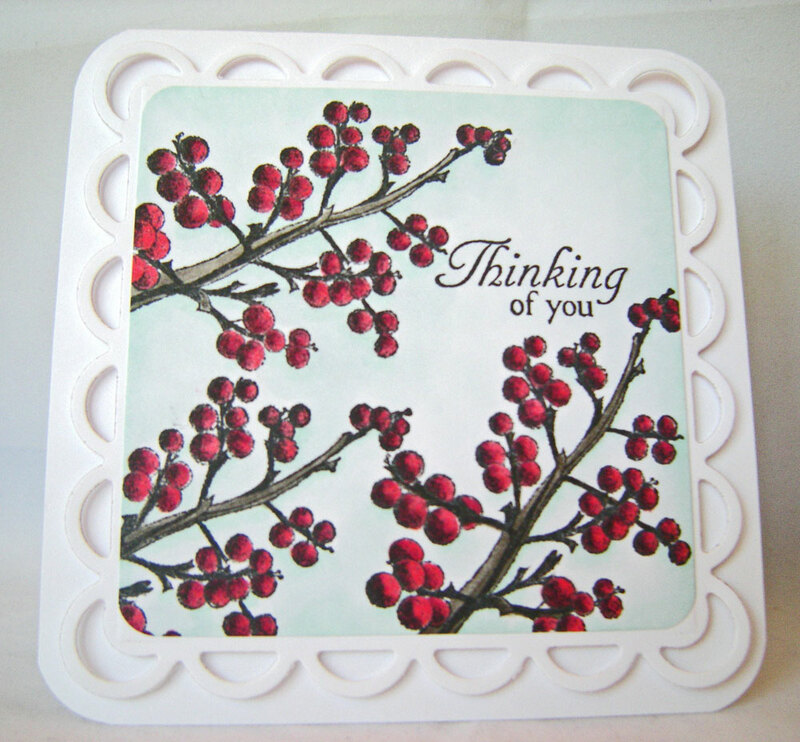 I am always in need of Thinking of You cards so this set is a great addition to your collection. 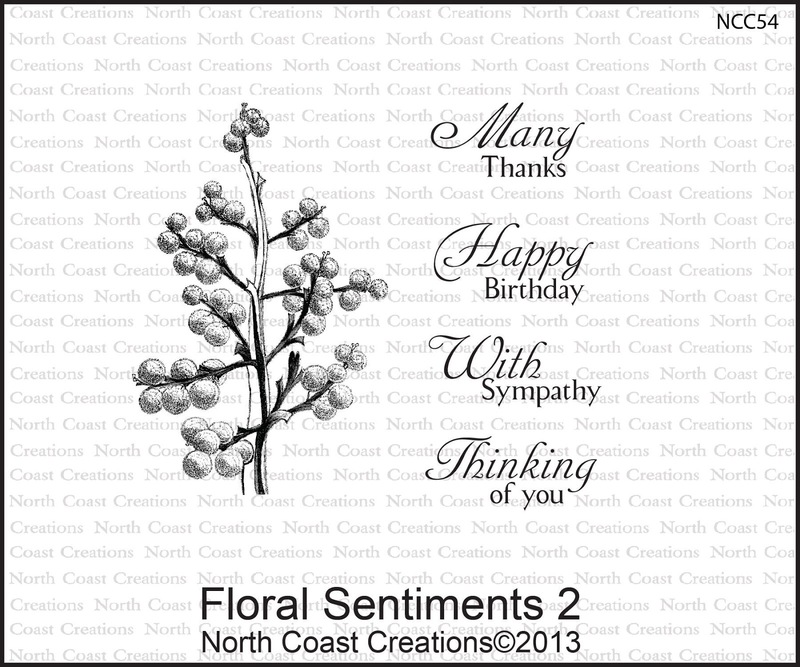 The set is called Floral Sentiments 2. I stamped the image three times and colored with copics. I used my Stamp-a-ma-jig to get the sentiment straight. The image square is layered over a Spellbinders Lacey Square. A quick and easy card! Happy Friday! It's the 10th already! Can you believe it?!! Well, I had a chance to play today! This one is CAS with several layers. The card stock is Neenah Cream. 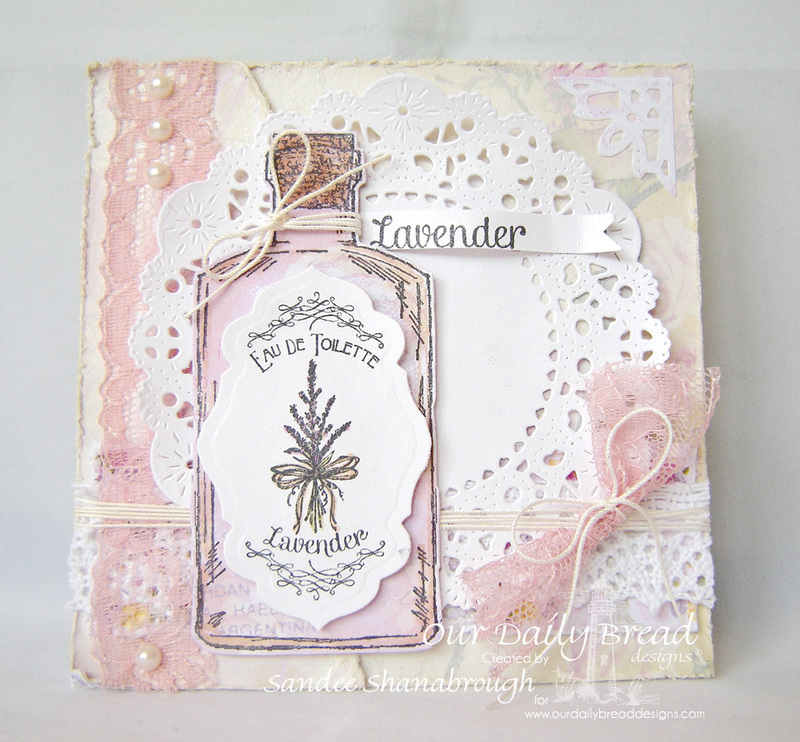 I stamped the lovely new Lavender image from ODBD and colored it with copic markers. I used the ODBD Custom Antique Labels and Borders dies to cut it out and layered this over the Spellbinders A2 Filigree Delight die cut. 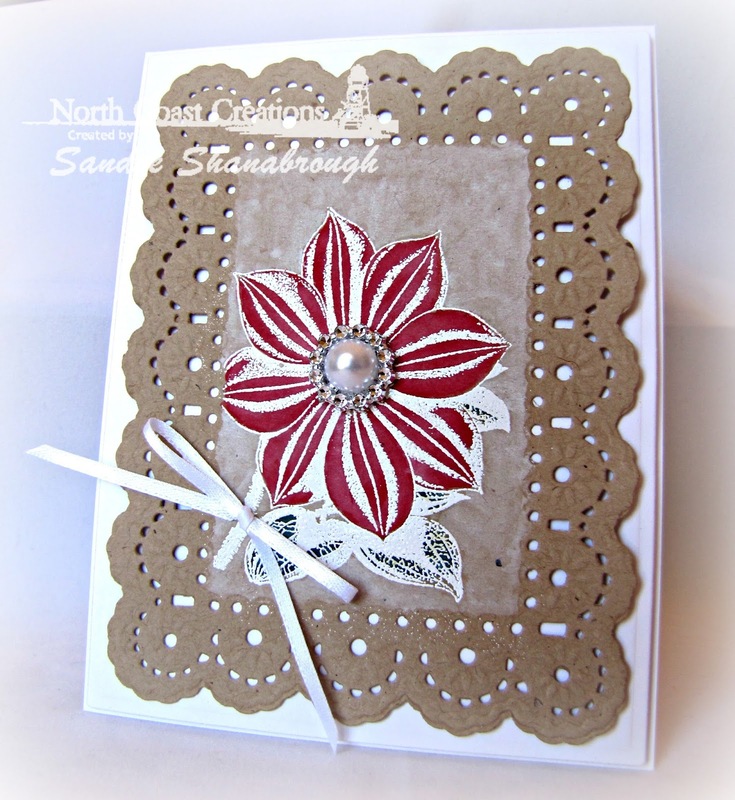 I added some pearls, a pretty bow and some stickles to complete the card! And I just had to take another photo of the card I blogged the other day. I left my camera at my Mom's and used my iPhone to take the photo. Now I am borrowing my daughter's camera until I get mine back! So here is a better photo! Last week I spent a few days with my Mom. We had a great time and I can't wait to go back! But I left my camera! Oh no!!! Believe it or not this photo was taken with my phone! Not too bad! so had a little creative time today! Yay! 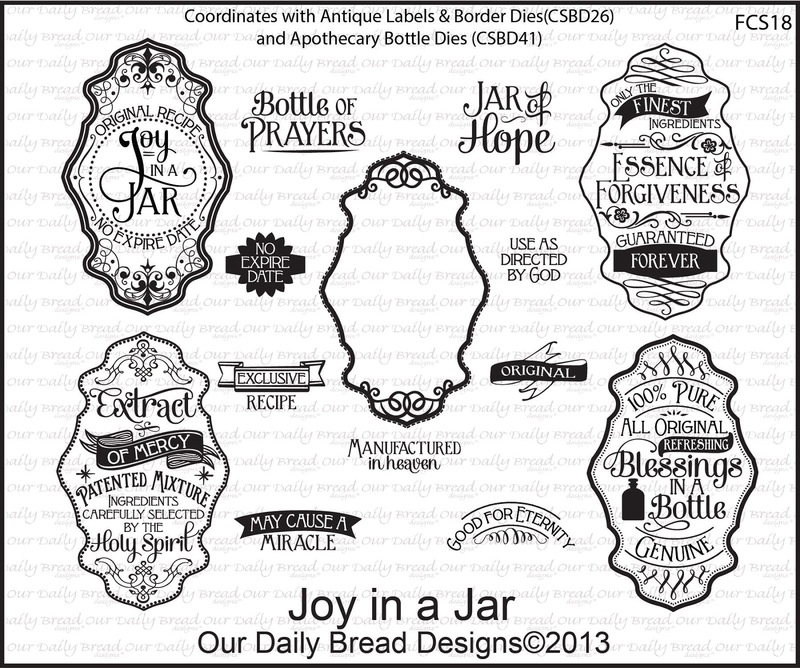 The new Apothecary Bottles and Joy in a Jar sets are so beautiful! I am enjoying playing with them! 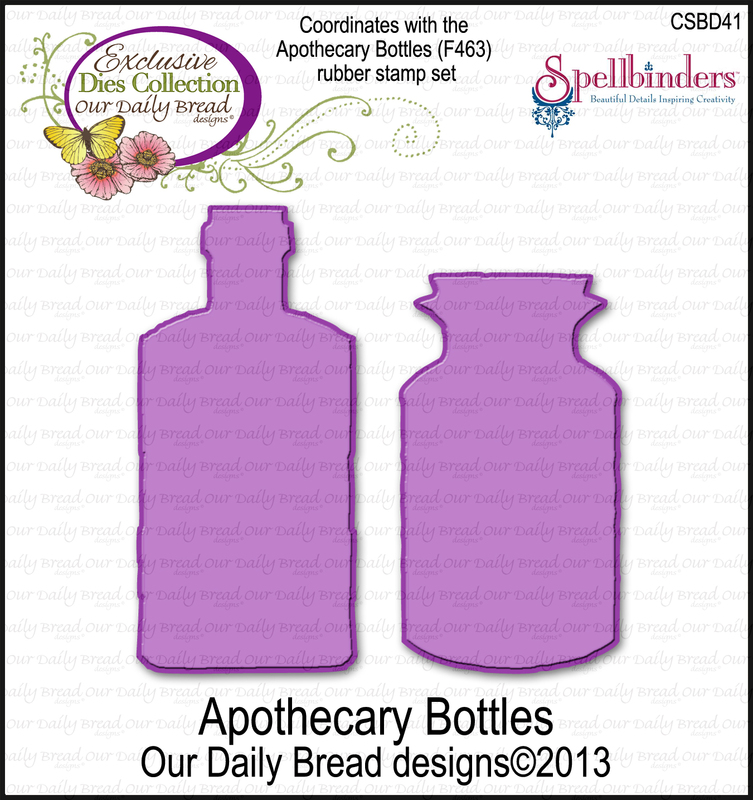 I cut out the bottles from designer paper with the new Custom Apothecary Bottles dies. I used copic markers to add the vintage shading to the bottles and the background layer too. You can't see it in the photo but I 'painted' stickles over the whole thing. Sort of a dry brush technique. 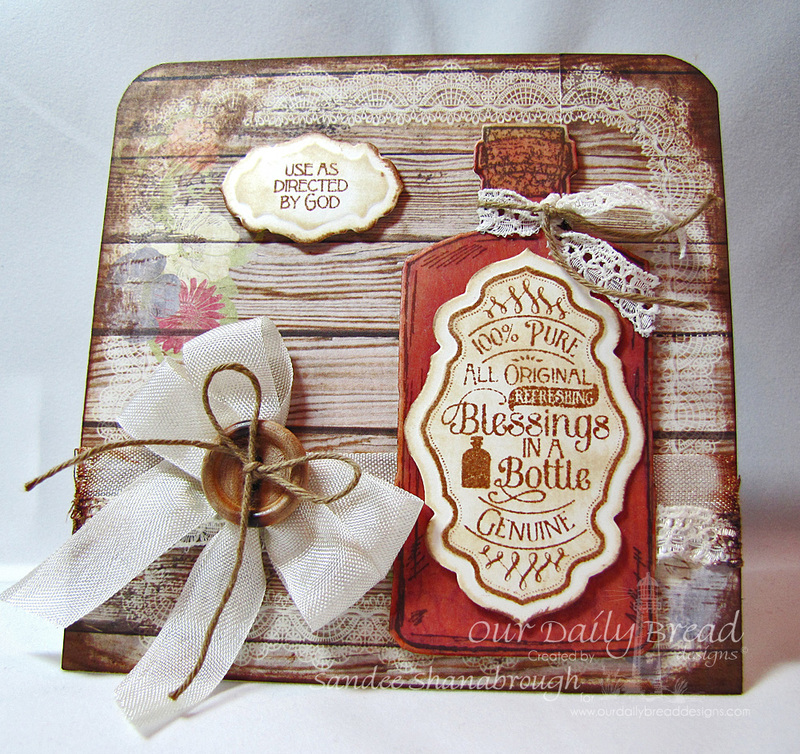 I used the Custom Antique Labels and Borders dies to emboss one of the bottles and to cut out the label for the other. I am entering this to the Word Art Wednesday Challenge #113. Welcome to the ODBD January 2014 Release!!! Good morning! 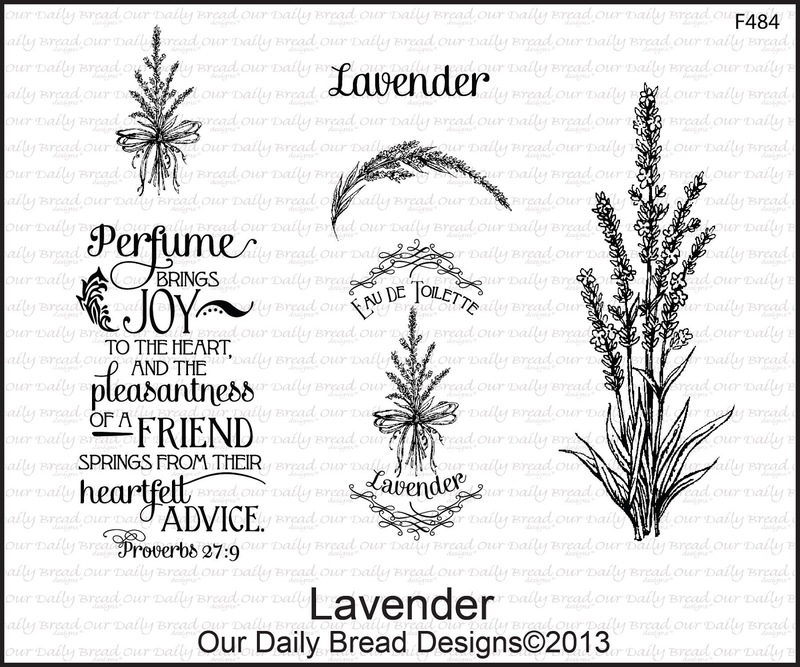 Welcome to the January 2014 Our Daily Bread designs release! We are so very happy you have chosen to spend time with us this morning as we share our cards and projects with you! The new sets and dies this month are awesome! As always! Be sure to check out each designer's blog! 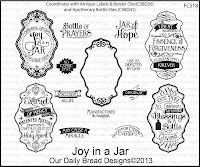 Three winners will be randomly chosen from the comments left on the designers blogs to receive a $25 Gift Certificate to the ODBD Store, to be used toward the purchase of ODBD Stamps. You have until January 2, 2013 at 9:00 p.m. EST to make your comments! The winners will be posted on the ODBD Blog on January 3rd, so be sure to check back there to see if you won! 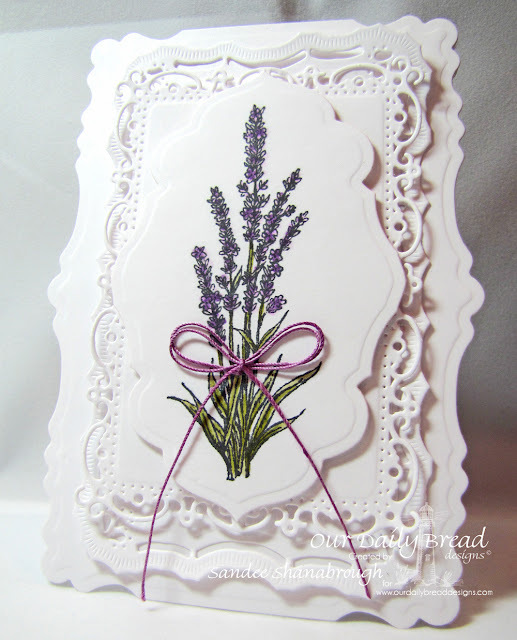 My first card features the new Lavender set. 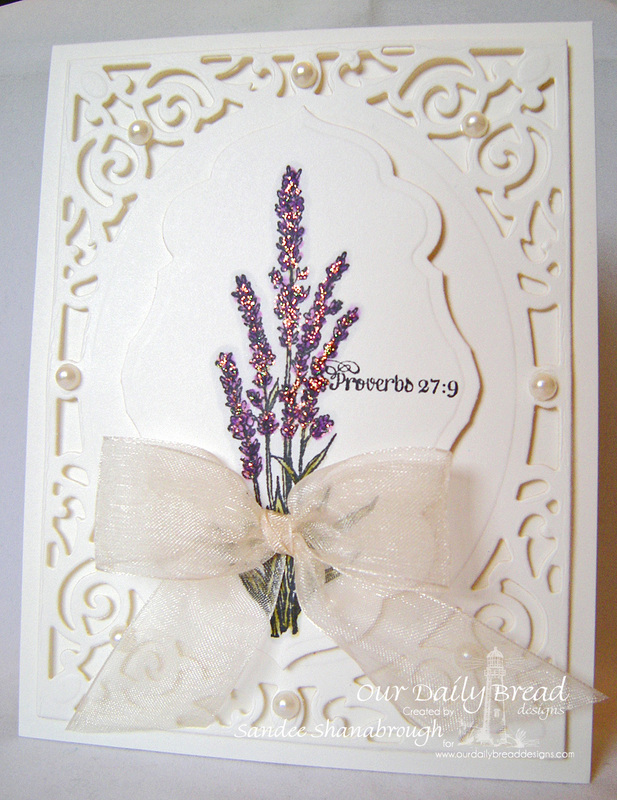 I used several Spellbinders dies to create the base card and backgrounds all in white. The Lavender image was colored with copics and cut out with the Custom Antique Labels and Borders Dies. The twine I used for the bow was dyed with a copic marker to match the lavender. This card features the Apothecary Bottles set and Joy in a Jar set along with the new Apothecary Bottles Dies and the coordinating Custom Antique Labels and Borders Dies. The bottle is stamped and cut from vellum and I used a combination of copics markers and TH Vintage Photo ink to color up the back side. I then layered it over a die cut from vanilla card stock. And that is it! Thank you again for stopping by! Go see what my DT sisters created! Each designer is linked in the ODBD New Release Post!